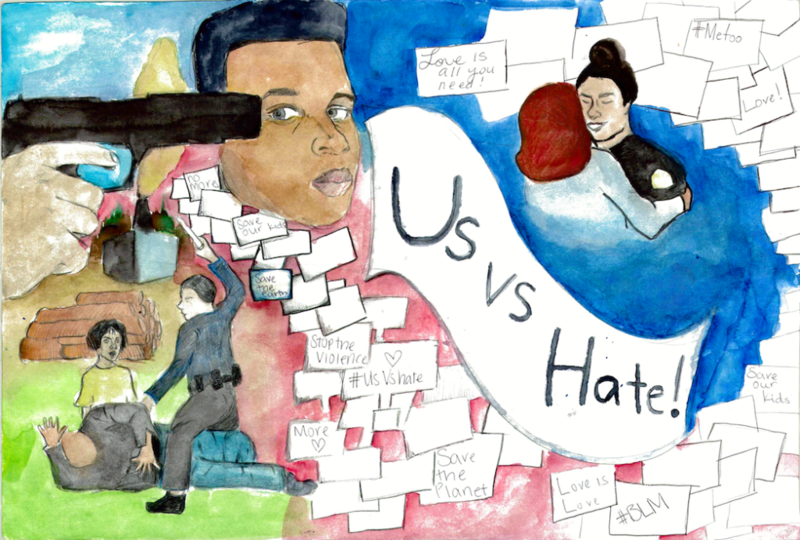 Teacher: Ms. Short chose a two-lesson inquiry that produced this winning student message. 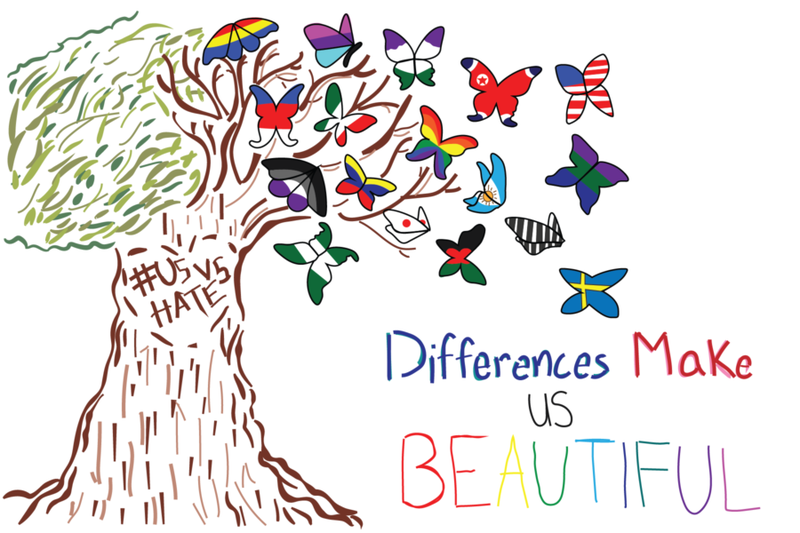 “When browsing through the resource list for #USvsHate, I realized how easily I could incorporate a lesson or two because the material corresponded so well with the book my students were reading at the time (Night by Elie Wiesel). I am passionate about spreading kindness and encouraging students to do so also. Students were recognizing that one of the book’s most important themes is that people need to speak up in times of injustice. We connected this theme to Mica Pollock’s article, “Overcoming Hate in our Backyards.” When students made the connection that acts of hate or injustice are happening even more since the 2016 election, many became very enthusiastic about spreading anti-hate messages to their fellow students. We also analyzed and discussed the Anti-Defamation League’s “Pyramid of Hate.” Students claimed that they began questioning their thoughts, words, and actions when they realized that name-calling, tolerating hate, and using slurs are on the same pyramid as acts of violence and mass genocide. This provided students with a language to call out acts of hatred and explain how they are a ‘slippery slope’ to horrific injustice.